EAGLE GROVE – The start of the meet was promising. But once the Umstead Relays reached the track, it was challenging. 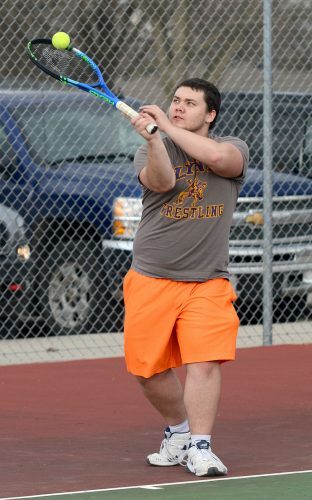 The first outdoor meet of the season for the Webster City boys’ track and field team had its promising moments and those that showed where work needs to be done here on a bitterly cold Tuesday evening. 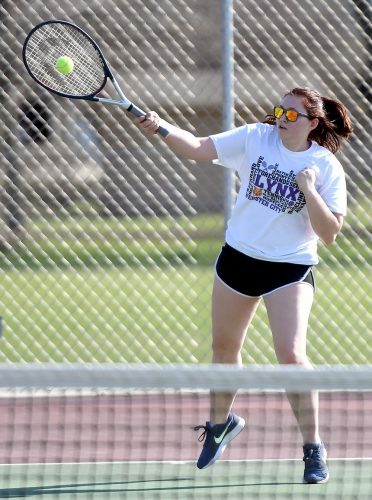 When all was said and done, the Lynx had accumulated just 45 points to finish seventh in the nine-team field. Algona nipped Humboldt by the slimmest of margins, 119-118, at the top of the standings. Clear Lake (70) was well back in third. WCHS accumulated all three of its medals and 27 of its points in the field events. Thrower James Cherry was the team’s lone gold medalist. His personal-best heave of 129 feet in the discus moved him to the head of the class. He also turned in his best toss in the shot put (42-7) to place fifth. High Jumper Zane Carter matched his top clearance of 5-8, which was good enough to bag the silver. Long jumper Payton Kannuan, a 2015 state qualifier, scooped up third-place points with a leap of 18-41?2. WCHS produced eight top-six efforts on the track, but was never able to climb past fourth in any of the events. 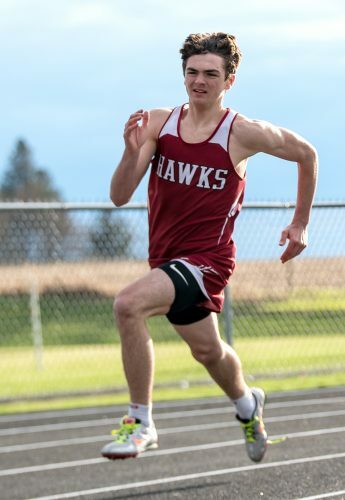 Noah Perfect in the 100-meter dash (12.16 seconds), as well as the 4×100 (45.99) and 4×200 (1:38.78) relays were all fourth. Kannuan and Jordan Tanner were members of both relays. A fifth-place finish went to the 4×800 (9:44.66), while the 1,600 medley (4:13.79) and 4×400 (4:03.92) were sixth. Individual sixth-place results went to Robert Frederiksen in the shot put (41-91?4), Carter in the 110 high hurdles (18.35) and Trey Nelson in the 1,600 (5:19.50). 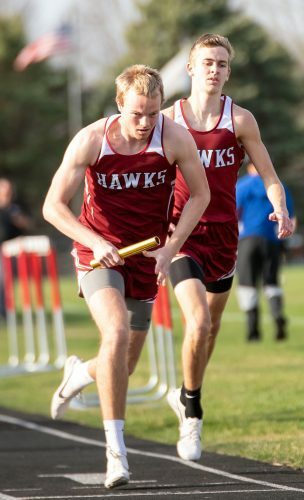 WCHS will return to competition on Friday when it is scheduled to take part in the Charlie Bunn Relays in Humboldt at 5 p.m.